For so many golfers, the city- or county-owned course, better known as a "muni," is a sacred part of the game. In a sport that has long been regarded as exclusive and elitist, it’s easy to understand why munis everywhere serve an important role in making the game affordable and approachable to the general public. But of late, cities everywhere have been re-evaluating whether it even makes sense to be in the golf business. As we began looking into the current ‘State of the Muni,’ new stories seemed to pop up every day of cities considering shuttering their courses for other, more profitable opportunities. From Reno to Tucson to Council Bluffs to Salt Lake City, city officials are wondering: could this course better serve the community as commercial real estate? Public housing? Maybe just as an open public park that a greater percentage of the population could take advantage of? "There’s close to 2500 municipal golf courses in the United States, and if you really dove in and looked closely at them I think you’d find 2500 different stories," said Richard Singer, director of consulting at the National Golf Foundation. It’s natural that cities across the country are eager to balance their budgets, but munis occupy valuable places in their communities, too: they’re beloved by those who play them, they open the game of golf to the general public, and they preserve open green space. So how do you choose a side in this debate? How do you weigh the meaningful experiences of muni golfers against the economic priorities of an entire city? In short: what’s a muni worth to a city? 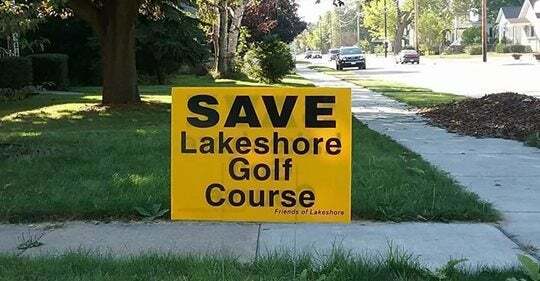 We turned our focus to Lakeshore golf course, an 18-hole municipal course owned by the city of Oshkosh, Wisconsin, that has become the focus of a fierce local debate: should the city preserve one of the Midwest’s oldest public courses, or sell the course to a local corporation as the site of their new headquarters? Listen to the entire podcast below, or find us at the GOLF.com podcast on iTunes. This GOLF.com podcast is hosted by Dylan Dethier (@Dylan_Dethier) and produced by Sean Zak (@Sean_Zak). Is there a golf-related topic you’d like to hear us dive into? Hit us up on Twitter.